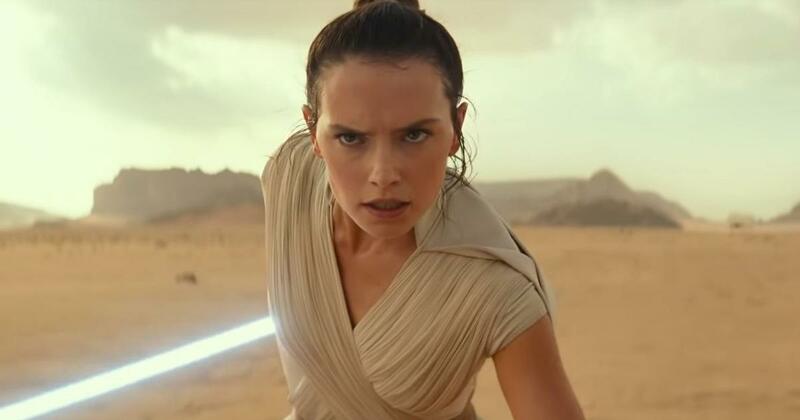 Fans Express Hollywood Star Wars Episode IX :The Rise of Skywalker Trailer : The saga comes to an end. Star Wars Episode IX :The Rise of Skywalker Trailer : The saga comes to an end. The next Star Wars movie, episode IX, will be titled The Rise of Skywalker, it has been announced.The title was revealed at a Star Wars celebration event in Chicago, while a teaser trailer was posted on Twitter with the words: "Every generation has a legend." The trailer kick starts with Rey panting heavily in a desert staring in a direction when Mark Hamill’s voiceover tells, "We’ve passed on all we know. A thousand generations live in you now. But this is your fight." Soon she whips out her lightsaber, one similar to Luke's. We are then taken to Kylo Ren's fight in a forest after which Lando and Chewbacca are seen piloting the Millennium Falcon, Finn, Poe and C3PO flying through the desert and some unused footages of the late Carrie Fisher. The most significant out of the entire trailer is when Rey stands strong looking at what appears to be Death Star wreckage and the video closes with an evil laughter of Supreme Chancellor Palpatine. While talking about the chronology of the movie, film's director J J Abrams said, "This movie, in addition to being the end of three trilogies, it also has to work as its own movie." He further added, during the panel, "It’s about this new generation and what they’ve inherited the light and the dark, and asking the question as they face the greatest evil, are they prepared? Are they ready?" The main cast of the original including Isaac, Ridley, Boyega, Tran, and Driver will return for the finale of the new trilogy, which opens in the theatres this Christmas. The movie will mark the end of an era as it will be the final chapter of a saga.